A SWASHBUCKLING time was had by all!!! 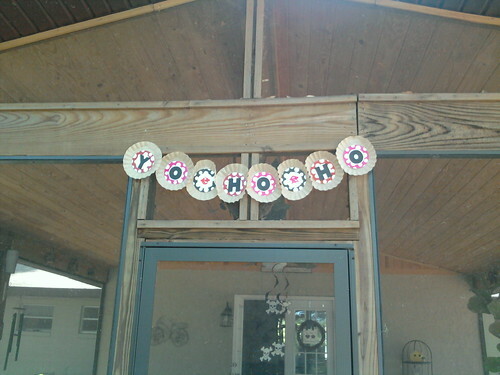 lastly, my coffee filter 'yo ho ho' banner. looks like so much fun!!!! 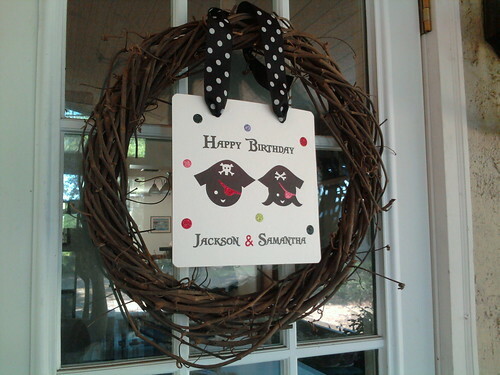 Adorable decorations! I can't wait to see more! Bring on the food! So giddy to see it all. Looks ADORABLE. 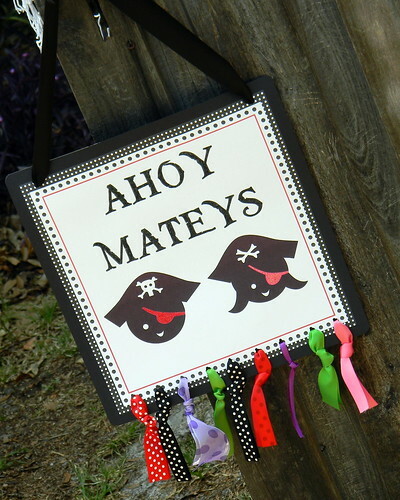 Dig the "Yo Ho Ho" signage...LOL! Fabulous! Can't wait to see more. This is so adorable. You & the Purple Pug did a great job! Looks great! You really struck a great balance for boys and girls! Beautiful job - I can just see the love for your kids and attention to detail throughout! Your coffee filter banner is too cute! 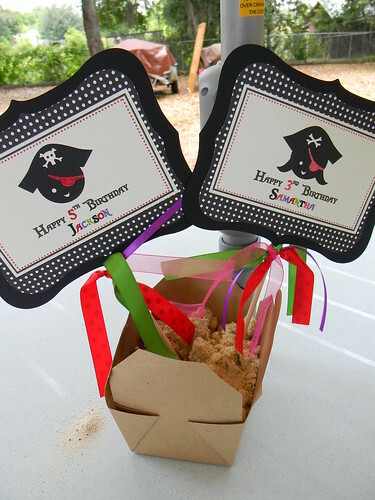 I love the sand in the craft box too...very pirate like! I just looked through all 3 posts. It looks like a fantastic party! Totally awesome!! 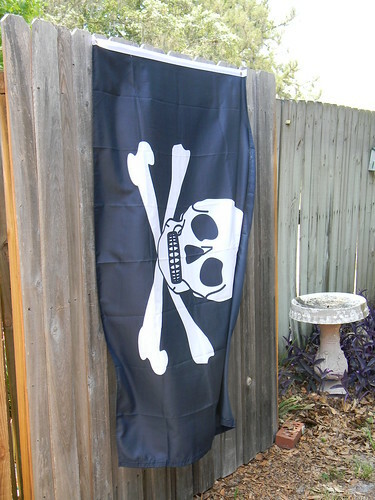 I love all of your pirate posts. 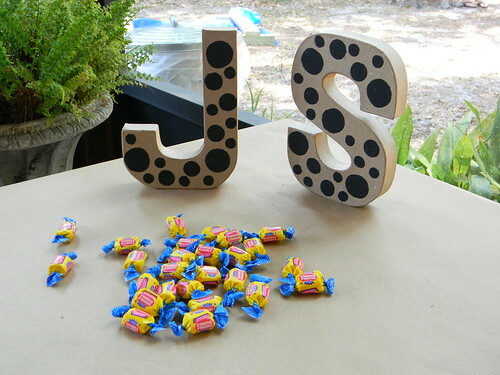 I still have 5 days till my son's party, so I hope to incorporate a few of your ideas!